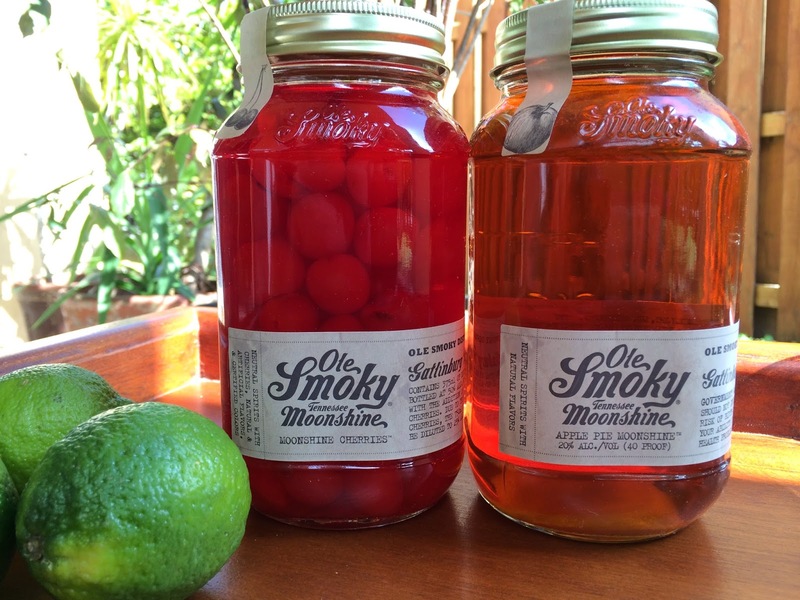 A few months ago I received two Ole Smoky Tennessee Moonshine products: their Apple Pie Moonshine and their Moonshine Cherries. I was supposed to try to recreate a cocktail for one of the silly made-up holidays of the past few months, but by the time I got the booze, it was too late. So I picked a recipe and decided there was no date like my anniversary to publish it, especially considering I've repeated this same cocktail a bunch of times for my wife! 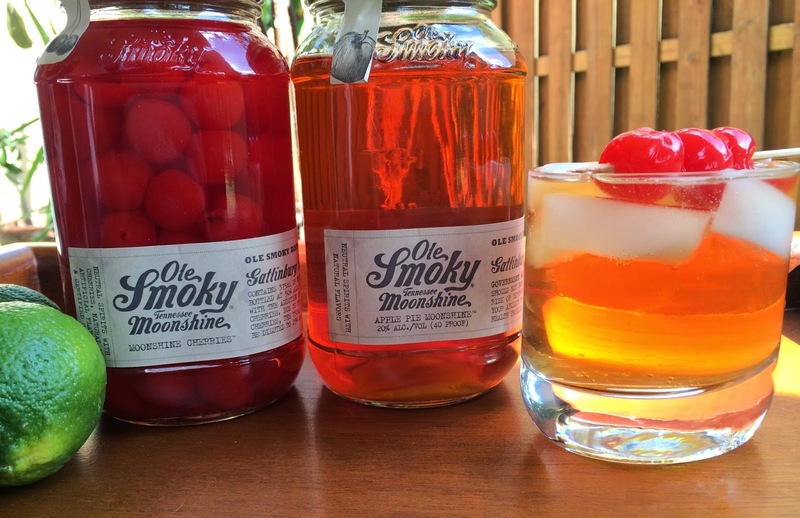 Ole Smoky has several varieties of their moonshine including Original, Peach, Pineapple, and Strawberry. Apple Pie Moonshine though? Yum! It is 20% alcohol and the cherries are jarred in 40% neutral moonshine which dilutes them to the 25% alcohol finished product. 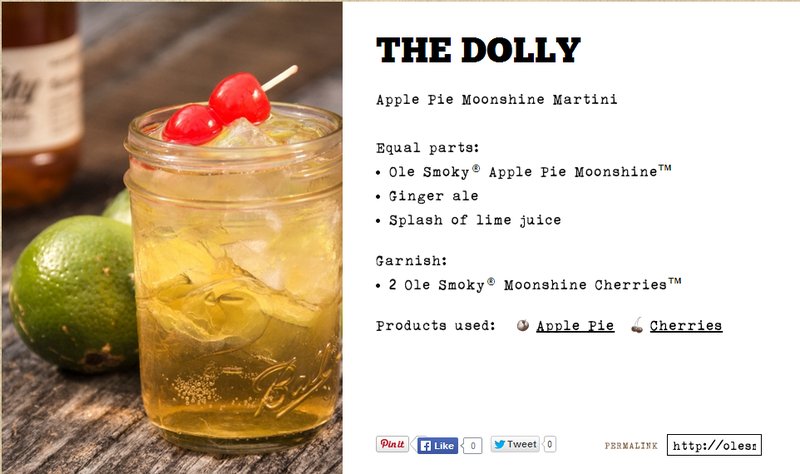 I chose to make The Dolly Apple Pie Moonshine Martini, though they have published many other cocktail recipes for you to try. Now it did not take a genius to mix equal parts of the Moonshine and Ginger Ale together, but how do you think my amateur photo above compares to the professional one below? BTW, the recipe is there too. As I mentioned, I've made this cocktail probably a dozen times for my wife and mother in the past month or two. Why? Because it's simple and delicious. The sweet apple pie flavors come through strong, but the alcohol does a great job of keeping that sweetness in check. I found that adding a little of the "juice" the cherries are swimming in also adds a nice secondary cherry flavor. Oh, and those cherries rock! They are potent and flavorful little alcoholic bursts in your mouth! Definitely check out some of these Moonshines and grab a jar of cherries for all of your cocktails.